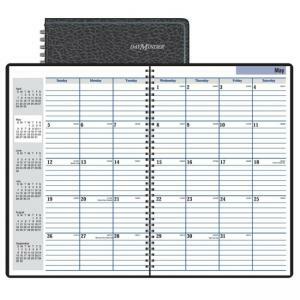 Media Size: 8" x 12"
Monthly Academic planner offers planning basics for the busy professional in one classically designed monthly planner. This planner features 14 months of planning ranging from July to August. Two-page-per-month spreads offer large ruled blocks for ample writing space. Includes Julian dates, future planning, and phone number page. Printed on quality recycled paper with 30 percent post-consumer material.